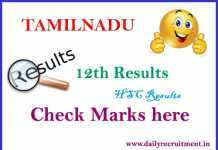 Tamil Nadu 10th /SSLC/X public exam is an eligibility examination for to choose the next level of career. 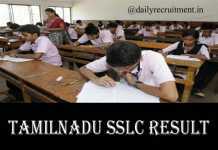 Directorate of Government Examination of Tamilnadu shortly called as DGE conducts X/10th/SSLC public exam every year. DGE has been conducting government examination since 1975. Headquarter of DGE is located in Chennai, Capital of Tamilnadu until now. Presently, DGE has seven regional offices across India. 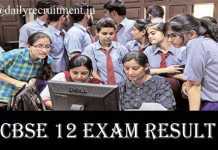 A report says, every year DGE conducts exams for nearly twenty five lakhs students. 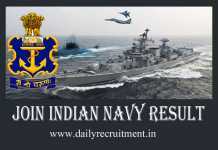 Go to official website as mentioned above and direct link as given below in this page. It will redirect to login page. Enter your exam roll number and DOB (date of birth) correctly before you submit to get your SSLC Exam result. it will redirect to next page and shown your 10th Mark Sheet via Online. All the very best and hope that all the candidates who had wrote the Tamilnadu 10th/SSLC exam result will get a good marks to choose the next level of your careers.